Artist, designer and teacher Mark Pimlott will discuss the concept of the public interior at this lecture in Melbourne on 6 February. 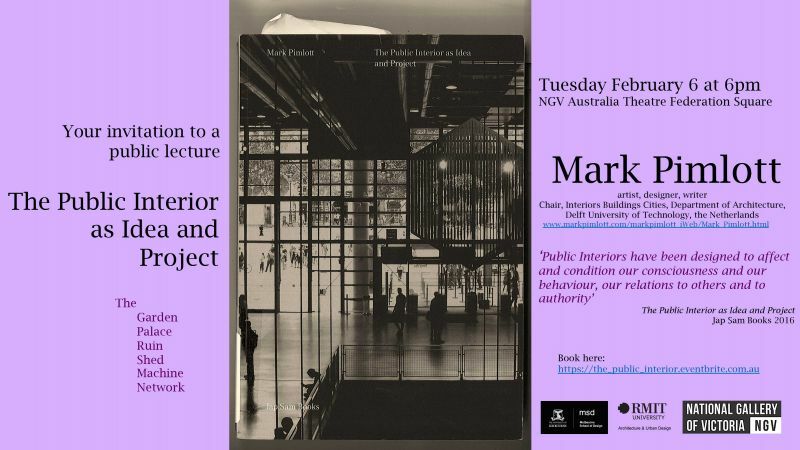 In his book, The Public Interior as Idea and Project, Mark addresses the public interior in relation to the Garden, Palace, Ruin, Shed, Machine and Network, together with the observation that “public interiors have been designed to affect and condition our consciousness and our behaviour, our relations to others and to authority”. This event is a collaboration between Interior Design, Architecture and Urban Design, RMIT University and the Melbourne School of Design, The University of Melbourne. 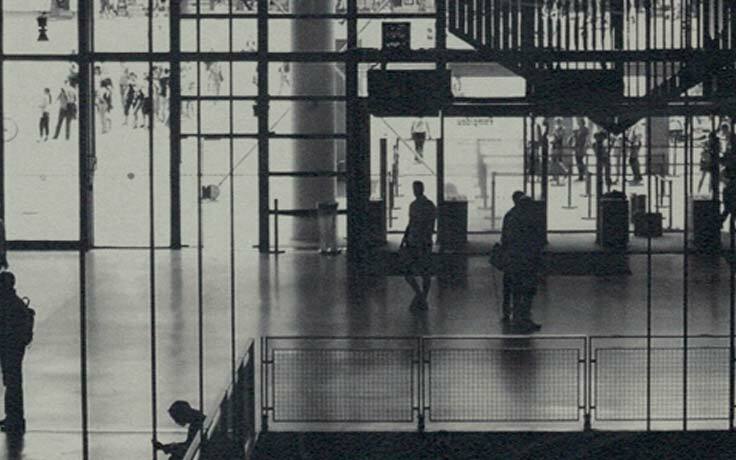 Mark Pimlott is an artist, architectural designer and teacher. He is Chair, Interiors Buildings Cities, Department of Architecture, Delft University of Technology, the Netherlands. His work in photography, film, installation, interiors and public art attempts to make the specific characteristics of places visible and available to new uses and understandings. Trained both as an architect and visual artist, Mark works within and across the disciplines of art and architecture, and uses his interpretations of both to influence permanent interventions within existing places. Public works of art include Guinguette, Birmingham (2000); La scala, Aberystwyth (2003); World, London (2002-10). Designs for interiors include Neckinger Mills, London (1988); Red House, London (1999-present) and restaurant Puck/Pip, Den Haag (with Zeinstra van Gelderen architecten 2007).